The focus of my research has been using information in DNA to address ecological and evolutionary questions. I am currently working on a stickleback population genomics project in Tom Reimchen’s laboratory; we are working in close collaboration with David Kingsley’s group at Stanford University. 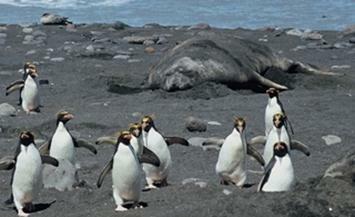 During my PhD, I looked at methods to study the diet of large marine predators by analysing prey DNA in their faeces. Since phylogenetic hypotheses underlie most conclusions in studies of adaptive evolution, a robust phylogeographic study in this model system would be invaluable. Initial analysis shows that populations from within a watershed cluster together and separate watersheds are generally independent. A few cases of genetic linkages between separate watersheds in adjoining geographical areas may reflect past watershed connections, or possibly ongoing gene flow. Populations that do not group with others are either: a single sampling site within a watershed, close to a river mouth (continued marine gene flow), or are isolated lakes with low heterozygosity which obscures historical relationships. Parapatric lake and stream populations of stickleback are a classic example of ecological speciation. Two watersheds on Haida Gwaii (Drizzle and Mayer) contain previously described stream/lake pairs (Moodie 1972 Can. J. Zool. 50: 721-732; Reimchen et al. 1985 Can. J. Zool. 63:294-2951). To investigate the genetics underlying stream/lake divergence we SNP genotyped fish from (1) Drizzle Lake and Drizzle Outlet, and (2) Mayer Lake and two inlet streams (Gold and Woodpile). Data confirm independent origin of these stream/lake pairs in the separate watersheds (Figure 2 ). Within the Mayer watershed, fish from two inlet creeks are closer to each other than to Mayer Lake fish. At the Gold Creek sampling site, both lake and stream forms were collected and these samples are genetically distinct in sympatry. Genomic divergence between stream and lake forms within a watershed was highly heterogeneous: most loci show moderate levels of divergence but some loci (outliers) were highly differentiated and are likely linked to genes under strong divergent selection (Figure 3). Populations of Haida Gwaii stickleback exhibit a range of phenotypes defined by the location-specific selective landscapes (Moodie and Reimchen 1976 Systematic Zoology 25: 49-61). With morphological data from over 100 populations (Reimchen et al. In prep) and SNP data that characterizes individuals from these populations, it may be possible to identify loci linked to particular morphological traits (Figure 4). · Can prey DNA be reliably detected in the soft matrix of faecal samples? · Can DNA from prey items fed as a small proportion of the diet be detected? · Are the relative amounts of DNA recovered from prey species proportional to their mass in the diet? · What is the quality of the prey DNA recovered? 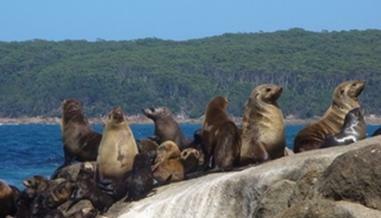 Deagle BE, Kirkwood R, Jarman SN (2009) Analysis of Australian fur seal diet by pyrosequencing prey DNA in faeces. Molecular Ecology 18: 2022–2038. Deagle BE, Chiaradia A, McInnes J, Jarman SN (2010) Pyrosequencing faecal DNA to determine diet of little penguins: is what goes in what comes out? Conservation Genetics 11: 2039–2048. For my other papers, please see publication list.